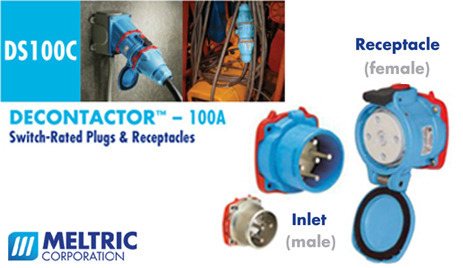 The versatile DS Decontactor 100c Series switch-rated decontactor plugs & receptacles offer the highest amperage range. Most models are available in metal or Poly material. Download the DS Decontactor 100C Series spec sheet below or call 714.835.6211 for more information.